DaysE loves Festivals and we are kicking off the Festivals Summer 2018 season at Body&Soul. This year brings a strategic change of focus. We are providing renewable energy solutions to areas of Africa that don’t have access to an electricity grid. Huge thanks to our friends at Cultivate for the loan of their Solar Trailer for our activities: You can charge up your mobile phone with solar power. In return, you can learn about and support our projects to provide renewable energy systems to off grid schools. 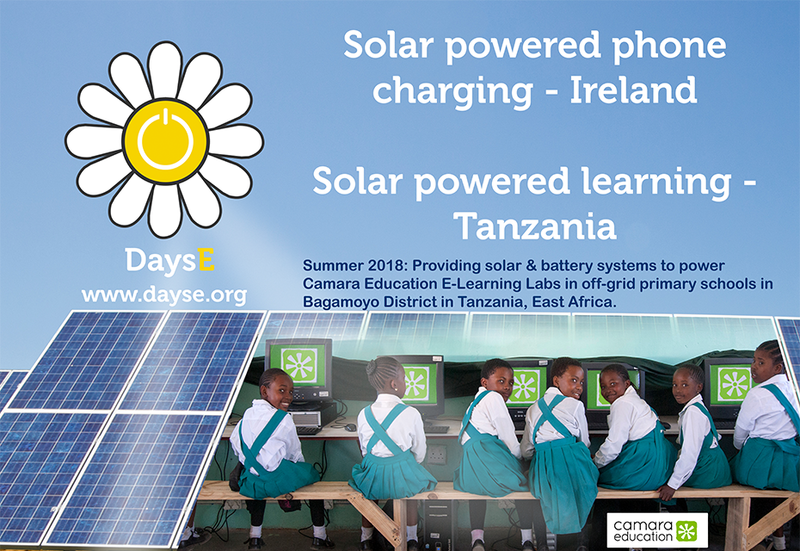 We are really excited to be partnering with Camara Education in providing the Energy system and E-Learning Labs to 5 primary schools in the Bagamoyo District. This project gets underway this summer. So, with Camara’s educational expertise and track record, we truly are powering learning. We have big plans for collaboration and events at the festivals so keep an eye out for updates.